The clamour for the purging of the Aquino name from the Philippines’ premiere international airport persists. This, to be fair, is baffling to an entire generation raised on the notional “heroism” of the late Senator Benigno “Ninoy” Aquino Jr who was murdered on the tarmac of the then-named Manila International Airport in 1983. The trouble with this notion is that it was propagated and embedded in the Filipino psyche not by objective scholars of history but by groups with political agendas — political parties and clans that enjoy lucrative relationships with the Aquinos and Cojuangcos and business interests that profit from these connections. These groups and the people who lead them now lament how the name of the Ninoy Aquino International Airport (NAIA) had become a sad political issue. What they fail to realise is that it had always been a political issue because, clearly, it was politics that decided on this naming to begin with. Indeed, the airport was renamed the NAIA, replacing its former name “Manila International Airport”, following approval of Republic Act 6639 in 1987 — just a year after Aquino’s widow, the late Cory Aquino, seized power in a coup d’état in 1986 and in the year the current Constitution was enacted to legitimise her government. The quickness of the renaming is seen by many as the handiwork of legislators eager to put themselves within the good graces of what was then a widely-popular political bloc. Therein lies the issue of the NAIA name. The airport was renamed too quickly at the height of a national euphoria. True enough, like most important life-changing decisions made in the heat of romantic passion, the legacy of this decision has failed to stand the test of time. The NAIA name suffers as a result of the decline in equity of the brand upon which its legitimacy rested — the Yellow brand of the Aquino-Cojuangco clan. Over the 30 years that the Yellowtards — in tandem with the Roman Catholic Church — dominated the Philippine political discourse, the once potent passion surrounding the “martyrdom” of the Aquinos waned and cynicism took over. The problem with the Yellowtards and the nature of how they ruled the Philippines for 30 years is that the approach they took to sustaining their political potency was to keep the “fire” of revolutionary sentiment burning. They overused the “Laban” (“fight”) rhetoric that was immensely effective in the mid-1980s and wore it down to the blunted and dulled propaganda relic that it is today. Unlike a healthy marriage that evolved into a mature and stable relationship way past the bliss of the wedding and subsequent honeymoon, the Yellowtard mystique succumbed under the weight of a surgically propped up patchwork of cosmetic political alliances and was scarred by various hookups with opportunistic hangers on. The NAIA name today stands as a quaintly sad legacy of a once-massive now-failed political brand. Filipino balikbayans (returning expats) now all but choke on the words whenever they need to mention their destination airport. It is high time that the airport be renamed back to its original and more sensible name. 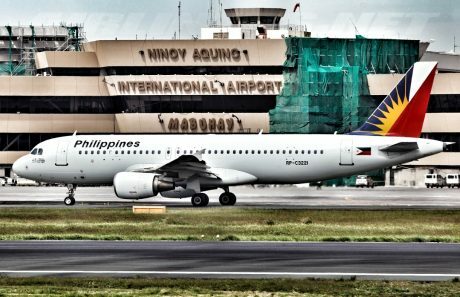 Perhaps sometime in the future, giving the Manila International Airport the Aquino name may again be considered — this time by more objective scholars of history. For now there are only politicians and the quack “thought leaders” who schmooze with them that push stupid agendas like these. Previous Article Did the COMELEC under Andy Bautista break its own shading threshold rule to help Robredo win the Vice Presidency? Yes, it will bring back Marcos’ golden years. It would promote Marcos heroism. You and your own trollfaggotry once again. No one is bringing Marcos here. So much for a troll…. Like those helpless farmers in Tarlac. I think naming the airport NAIA is great. The airport is one of the worst in the world and rightly deserves the Aquino name to go along with it. Only change the name if the airport can somehow miraculously not be a bane to travelers using it. In fact, all bad things about the country should be labeled after Aquino. For example, the heavily polluted Pasig river should be called the Kris Aquino river. Ninoy Aquino, Jr. was never a hero. He was a political opportunist. He was also a scammer…He was murdered, by people we don’t know; by the reasons , we cannot even comprehend. I believed he was murdered, for political purposes. The one PAF soldier, who was part of the contingent, to arrest Aquino, who claimed to be the handler of Galman, the suspected murderer of Aquino; recently died thru an “accident”. This is one way of silencing the truth. Cory Aquino, his widow, wanted to immortalize the name: Ninoy Aquino, Jr., as a martyr, for the Filipino people. “The Filipino people is worth dying for…”, stated Aquino. So, somebody ordered him to be murdered. The Aquino Cojuangco political axis, immediately used the murder of Ninoy Aquino, Jr., as a political capital. The Roman Catholic Church, issued its support for the Aquinos. They named: buildings, memorial stadiums, etc…Ninoy Aquino, Jr. They have EDSA 1986, taught in school, as a revolution. They have a “national holiday” , for EDSA 1986. They have a shrine, for EDSA 1986. The Philippines is only the country in the world, that celebrates a coup d’ etat. The initiators of the coup d’ etat, were glorified as “heroes”. In truth, they are all political opportunists, and thieves. The Aquino era, is like a “bad dream” for Filipinos. Many bad things happened to our country. The worship of Ninoy Aquino, Jr., that is promoted by the mainstream media, is like worshiping a “false god”. Manila International Airport. The honor of this international airport belongs to the Filipino people. Not to the Aquinos , or to anybody else ! Agree to the works of the Marcial Bonifacio aka Ninoy Aquino the Sacrificial lamb of the Economic hitmen of Marcos Destruction of the Philippines(EHM) a book of John Perkins. his assassination still unresolved and covered for 32 years of Hacienda luisita self interest of a non Pilipino whose unworthy life is not worth dying for Malaysia and Japan, the two country that he used in order to enter the manila international airport in August 21, 1983 to dumbdown pilipinos for three decades of lies and manipulations. just include it in the ballot and let the pilipinos decide. Terminal 3, again, your call. It’s about time! 30 Yellowtardic years of incompetence has already been a long wait. Pinoys have clearly had enough. They don’t even want reminders of these Yellow bozos every time they travel abroad or move around the country. Finally, the tide has turned against these narcissistic Aquinos. To the current move for total “name recall” – taking back an illegally assigned political color/label from our premier international gateway… the winds of change are truly blowing strong across the land. The NAIA->MIA tidal wave has finally arrived at the doors of Congress. The powerful lawyer behind Sereno’s downfall has found a new Yellow target. Go go go Gadon. You’re the man with a mission. Depoliticisation of what should be a neutral public facility can actually bring wonders – how about healing and national unity? When was the last time Pinoys really banded together 100% to achieve something great? Let’s remove those “hero” Aquino fetters that keep us from moving forward. It’s time for PH to fly. The airport’s name not only perpetuates a deceptive memory but also causes a cognitive dissonance to the Filipino psyche. Now that history is being balanced out and relatively corrected, changing the name into something that would remind Filipinos of their true identity might serve us better . Why not name the international airport after something that positively represents the country and its people? The Aquino name is clearly a divisive one. The Inquirer editor comparing this issue with the cases of other airports named after personalities makes for a weak case because the name, say, of Macapagal (after which Clark field is named) does not elicit the same vitriolic reaction as Aquino’s. The Aquino name is more a liability than an asset as far as the Manila International Airport is concerned. It has to go. Like you said, renaming the airport should be seriously considered. Especially now that a lot of people are questioning that part of our history. For a landmark that important, the name shouldn’t elicit divisiveness. The Filipino awareness now isn’t agreeing with that version of the past. The name sort of forces us to accept that Ninoy was a hero, and all the “facts” that come with it. There’s also the Parks and Wildlife here in Quezon City carrying the same name. Perhaps that other thing that’s wrongly named is the Libingan ng Mga Bayani. Not everyone buried there are heroes. And I’m not just talking about Marcos. Better it name back to National Cemetery, Bonifacio Cemetery, McKinley Cemetery or something. Airports are not simulations of cities; rather cities are simulations of airports. Change all of them! The airport, the park, the 500 peso bill, change everything named under those yellowtards!